Town of Amherst voters will not be going to the polls next week following a judge's decision on Wednesday. Supreme Court Justice Tracey Bannister ruled the scheduled vote that could have upsized the number of Town Board members was in violation of the state's Municipal Home Rule Law. The case was pursued by Jerome Schad, the Chair of the Amherst Democratic Party, who argued that the Home Rule Law allowed a legislative body to change size only once every ten years. 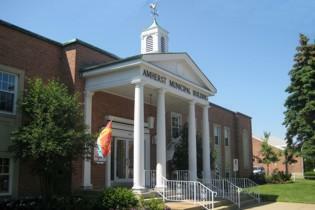 Amherst voters decided three years ago to downsize the board to five members. The struggle over the size of the Amherst Town Board goes to court Wednesday afternoon, with State Supreme Court Justice Tracey Bannister to decide if the board should have six members or five.